Babymoov is a French company attentive to parent's needs for more than 15 years and creates innovative products to support them during their moments of joy with their child. Baby's sleep is one of the parents' priorities because it is part of the baby's development. To guarantee peaceful nights for both? baby and his parents? Babymoov designed a complete comfort range to ensure the well-being of your baby: the Cosy Range. Recommended by healthcare professionals? lying on his/her back ensures optimal safety for your baby: your baby breathes better? the nose and mouth are not obstructed and it prevents from the risk of suffocation. Moreover the position of your baby's head is essential to ensure a nice round head. For that purpose Babymoov created the Cosypad which is ideal for ensuring the right position to your baby. 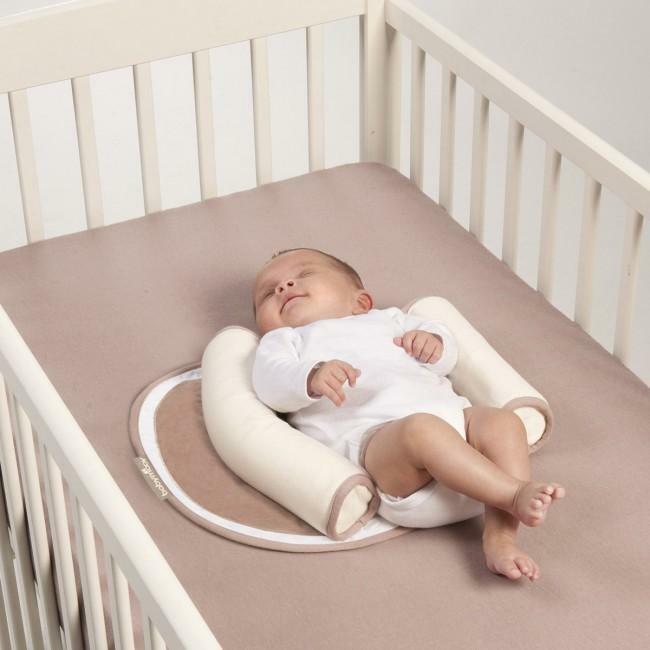 The Cosypad features an innovative and patented "flex system": the positioning roll is totally flexible and fits any baby's morphology! The thin mattress being manufactured in breathable and soft fabrics your baby will benefit from an optimal comfort. The Cosypad is machine washable (30?) and can be used from birth up to 6 months. Babymoov has a lifetime warranty: please register your product within 2 months at www.service-babymoov.com. Terms and Conditions apply.